Equal treatment between persons irrespective of race and ethnic origin. The Italian Law n. 215 of July 9, 2003, gives the provisions relating to the implementation of equal treatment between persons irrespective of racial or ethnic origin, establishing the necessary measures to ensure that differences of race or ethnic origin don't cause any kind of discrimination. Equal treatment means the absence of any discrimination based on racial or ethnic origin. Discrimination can be direct or indirect. 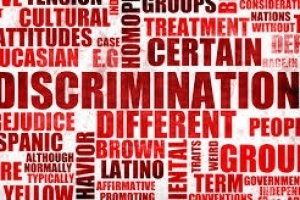 Direct discrimination occurs when, for racial or ethnic origin, a person is treated less favorably than other people, while the indirect discrimination occurs when a rule, criterion, practice, act, pact or behavior would put people of a particular race or ethnic origin in a situation of disadvantage compared with other persons. - access to goods and services. If you need some legal assistance in Italy, don't hesitate to contact us (click here: Lawyers in Italy).